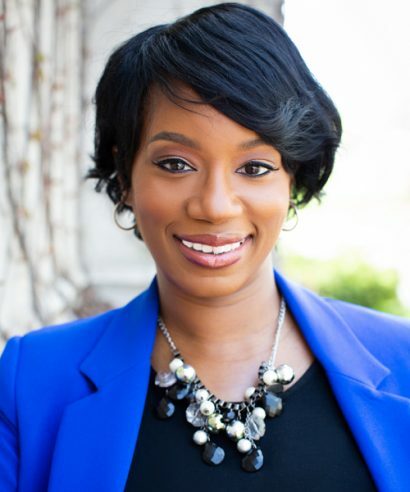 Tanisha Pleasant is director of Accelerator Fund programs for StriveTogether. In this role, she leads the management of the Accelerator Fund, an initiative of the Cradle to Career Community Challenge designed to expedite partnership progress by building the capabilities of local leaders and practitioners to disrupt systems and improve outcomes for every child. Before joining StriveTogether, Tanisha worked as the director of talent acquisition operations for Teach For America, where she led the strategy and execution for a national selection process for instructional coaches, working with 100 senior leaders across 53 regions. In that role, she managed the implementation of the new operating model for the national selection process, developed solutions and processes to improve hiring efficiency and leveraged data to close gaps to access and experience across lines of diversity. For the past 15 years, Tanisha has managed strategy and operations across the social sector, working with students, teachers, senior leaders, board members and corporate funders at the Joffrey Ballet, Columbia College Chicago, YWCA and the University of Chicago to scale and streamline operations and manage large scale, high-impact programs and events. Tanisha has a bachelor’s degree of arts and sciences in speech communications and African-American studies from the University of Illinois Champaign-Urbana and a master’s in business administration from the Keller Graduate School of Management at DeVry. She and her son, Kendall, live in Chicago. In college, my favorite classes were in ethnic studies. Joining the young authors club and having a poem published in a literary magazine. What is something you’ve learned to do as an adult? “Between the World and Me” by Ta-Nehisi Coates.